I have been getting colder a lot faster than I used too. Had to go buy me another face mask this morning. Thinking about using my dad's portable heater. Must be getting old or something. ...I ain't mad at them like I used to be. Lol. huntall wrote: I have been getting colder a lot faster than I used too. I love hunting from ladder stands, but in this weather I have abandoned them for shooting houses and a heater! Those little propane heaters are the ticket. quigleysharps4570 wrote: Those little propane heaters are the ticket. 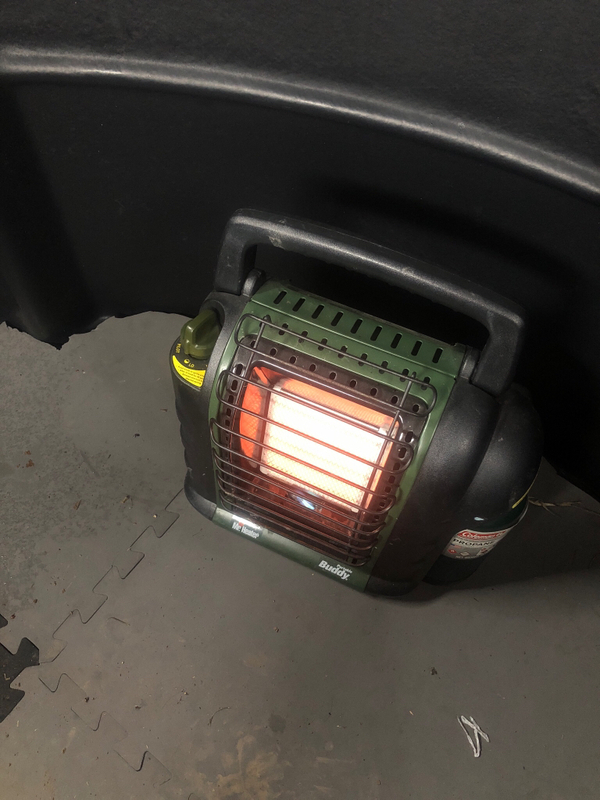 I took my youngest boy the other evening when it was freezing and used my dad's heater and it made a major difference. He was able to stay warm and he killed his second deer ever the other evening. I have to buy me one. I love my buddy heater, it makes taking the kids a lot more enjoyable. For me and them. I also love the buddy heater. But after building the larger shooting house, it doesn't warm it as well as the smaller shack. For the same money I ordered this one from Sams. Puts out five times more heat and uses the five gallon tank, which is a lot cheaper than the coleman 1 lb bottles. Will order another for the shoot house for next season. terry08 wrote: I also love the buddy heater. But after building the larger shooting house, it doesn't warm it as well as the smaller shack. For the same money I ordered this one from Sams. Yeah, that one looks nice. I need to look into getting one of those for my big stand and just leaving it in there. Yeah, for $120.00 it is great. The five gallon tank lasts a long time and just on one burner it will keep you toasty warm. 0ur central heat, never kicks on using it in the house. I just bought the buddy heater myself. Old age is setting in I reckon.